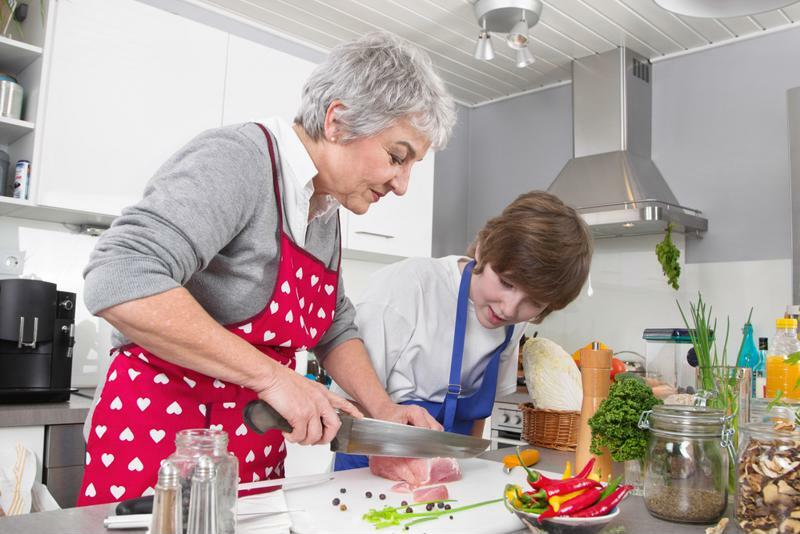 Your senior loved ones have gained plenty of wisdom through the years, and the kitchen is an excellent place to see that impressive knowledge in action. Encourage your senior parents to lend a hand with the Thanksgiving feast by asking them to make a family recipe. Not only will they feel appreciated, but you'll get to enjoy some of your favorite childhood foods, too! Plus, cooking has health advantages, and the benefits stem beyond nutritious eating. A Cambridge study found that those who cooked at least five times per week experienced a longer lifespan than those who cook less frequently. While the study did not specify why this was a trend in regular chefs, it is generally known that remaining mobile – like moving around the kitchen and throwing together ingredients – can promote seniors' overall well-being. Have your senior loved ones help prepare dinner this Thanksgiving. When planning the family get-together this year, make sure you have activities that everyone can enjoy, no matter his or her age. For instance, while little ones might not be able to baste the turkey or bake a pumpkin pie, they can certainly help with cookie decoration. Your senior loved ones can spend some quality time with their grandchildren through this activity. Consider making Christmas cookies and freezing them until December – they'll last about three months if properly stored, according to Better Homes and Gardens. "A Charlie Brown Thanksgiving" (1973). If your senior loved ones are feeling out of sorts, it may be harder for them to join in on the fun. When picking them up from their assisted living communities, make sure you bring everything necessary for them to remain comfortable, safe and mobile. For instance, do they have hearing loss? Make sure you bring their hearing aids before heading out the door. This way, they can participate in the conversations around the dinner table. Additionally, don't forget to bring any medications that they need to take at a regular time. With the oven being on for several hours and having a house packed with people, it will likely get a bit stuffy in your home. While you may be able to keep cooking through the heat, it can be especially uncomfortable for older adults. Make sure you turn down the temperature in your home before all the guests arrive and have your senior loved ones sit in an area that is well-ventilated but not isolated – they still want to visit with family members, too.